We’ve all been there – in a busy clinical area and a person or family are advised there is a change in care due to clinical findings, investigations, laboratory results . Time is limited but each person being counselled varies in their knowledge, understanding, intelligence and how they process the facts that are imparted to them. It can’t be a one size fits all but how exactly do health professionals communicate quality evidence to the people they care for and maintain an individualised approach? but on a serious note it’s standard in cafes, restaurants and hotels so please NHS follow suit – our business is hospitality after all . Does it link to evidence and research ? Who decides how in depth it should be ? Giving a leaflet is simply a starting point for a wider discussion it’s not a final statement . As health care professionals we should be constantly asking women and families “is there anything you need to know ? Any questions you have? 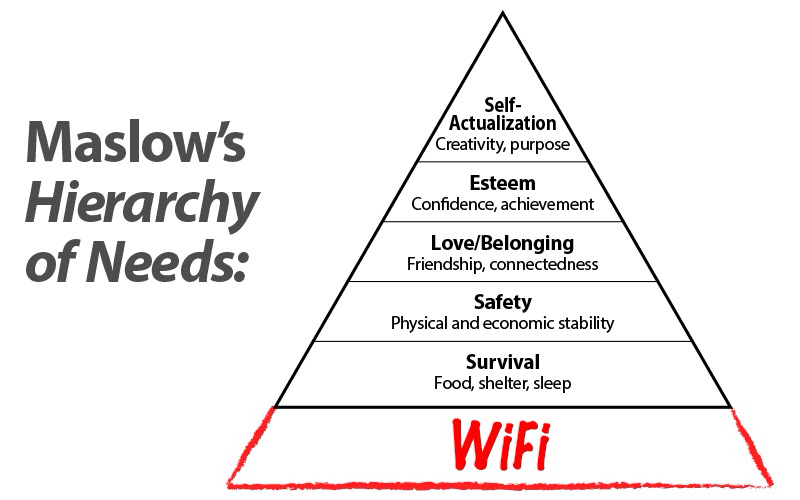 ” as well as promoting a learning environment . We are helping women to become leaders for other women when we give valid , useful information out . There is no excuse for us to say “I wasn’t asked” anymore. Health professionals must start the spark that gives the public a thirst for knowledge about their own health . I recently counselled a woman about carbon monoxide(CO) – she didn’t smoke but two of her close family members did . I offered them all Carbon Monoxide screening . The two family members CO levels were 1. Above 30 2. Above 25 . The non-smokers was 19 and wait for it I also measured my CO as a control – mine was 15 . I then realised I’d been in a closed room with the family for over an hour . The CO had affected all of us . This led to a discussion about the effects of smoking , the safety of nicotine but the dangerous effects of carbon monoxide and the way the tobacco industry makes an addictive product with hidden perils . The family chose smoking cessation as the results of the screening test surprised them (and me !) I didn’t nag them I befriended them and helped them to focus on how they could remove the product from their lives and not their guilt . 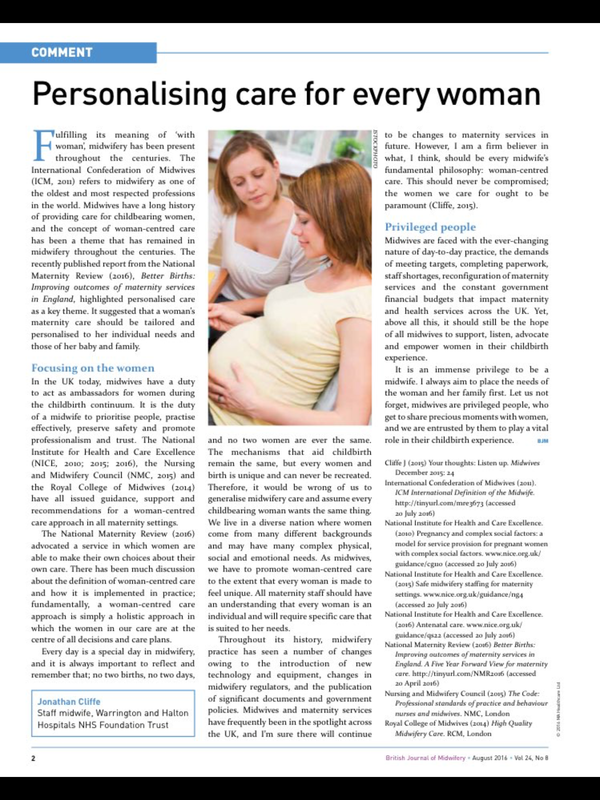 Below is a recent article by Jonathan Cliffe Midwife about personalising care for every woman – published in the British Journal ofMidwifery August 2016 . The current financial status of the NHS is forcing many trusts to cut back on small things, but I believe that it’s the small things that make the NHS wonderful. The fact of the matter is we are here to provide a priceless service to families, parents and people. If we keep our focus on doing the best we can do each and every day by imparting the evidence which applies to the individual , looking at how the individual might help us to gain new knowledge, opening our minds to improving outcomes, valuing staff and patients alike then the only way that the NHS can possiblY move is in a toward direction. I suggest you google “How to share evidence – NHS” you might find some valuable information to help your own NHS trust . Thank you for reading , please leave a comment . What Sparks Your Joy ? I enjoy making my home feel like a warm welcoming place to my family and to friends as well as to myself . A calm happy home gives me the ability to relax as well as work hard. However, I do own some clutter and although my home is clean I have spots that need organising . So this week I bought the book “Spark Joy” by Marie Kondo- it is about keeping items in our homes that make us feel joyous and getting rid of things that do not . Whilst reading it I was suddenly struck to consider what “sparks my joy” in midwifery? What should I cherish love and hold onto ? My other joy is being a mentor I love to ask future midwives how I can facilitate their learning and yet learn from them . I see myself as a radical mentor I talk about, teach and observe for compassionate care , courage and good communication. When working with students of any discipline I feel it’s so important to hear their voice and also to be honest to them about obstacles they may encounter to prepare them for their future roles . I am a truthful mentor and it’s just so crucial that the first meeting is positive. My goal is to melt their fear or apprehension as soon as we meet – to let them know that I am a teacher, a learner and also that I am helping them on a journey . I do like to give spontaneous teaching sessions and find it hard to contain my excitement when future midwives tell me about new research or publication. Mentoring also includes being a role model to peers , newly qualified midwives and reaching out to give others help, inspiration and guidance face to face as well as through social media. I have several key mentors in my life and career who assist me through coaching and reflection which in turn aids my development as a mentor . I love to hear news from colleagues and students as well as sharing with them new things I’ve read via social media , recommend blogs or books to read and upcoming conferences . I will have been a midwife for 23 years this June. I see myself as constantly evolving and realise that I will never reach my destination – I don’t want to though I want to keep growing each day . 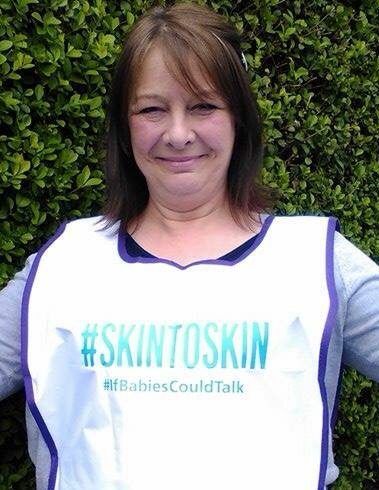 By having this approach I hope that I am open to women’s families and colleagues voices .I extol the long term and short term virtues and benefits of skin to skin contact at any opportunity . Being a midwife means being a strong communicator and embracing oneself as an ambassador for global women . It’s about being current and modern despite age or experience – this ethos should apply to all who work in the NHS . Choice and consent should be embedded into our role as advocates . Cotinuity of carer must be a priority plus a positive communicative relationship between the midwives and women all embedded into what we do just as much as a building needs a roof , windows , a door and warmth . Mat Exp is all about maternity experience . It’s a change platform where anyone can participate , discuss and suggest new ways to assess , plan, implement and receive care – putting the family first in Maternity services . MatExp is also about staff who are involved in this specialty and how we can improve their experiences too. This is why I adore it – everyone has an equal and valid voice – there is no hierarchy and ideas are constantly flowing . MatExp HQ exists in a virtual digital sense – it’s everywhere and a testament to the true power of social media . Due to MatExp I’ve learnt more about PostTraumatic Stress Disorder due to birth trauma which can affect men as well as women . I understand more about the feelings of families when their babies have been stillborn or died after birth . I have been able to connect with women, families, health professionals and radicals to spread the word about why collaboration works because we are actually doing it . I have also met the most amazing people from all walks of life and feel I have connected with them in making a difference . Just search #MatExp on twitter or take a look at the website HERE to read about who is already involved and how you can get involved . So now you know what sparks joy in me- I’d like you to visualise Change as a form of decluttering – it’s not necessarily forgetting about the old – but it’s making sure it’s archived so that we can look back as well as forwards and see why it’s so important to keep moving shifting and changing. Let’s make NHS care “Spark Joy” in the people that use it and the ones who work in it . As a form of reflection think of four things that Spark Joy for you within your own work and life and write about them . Christmas and New Year are times when a lot of people seem to dash about . Their focus in this time of the year is to give gifts and to make sure that each gift is exactly right for the person it’s meant for . The New Year can symbolise a new start but for some it might be a time of difficulty and sadness if things have not changed or challenges still exist in their lives . It’s pressure sometimes to fulfil this aim and perhaps time to reflect on what other things we give to others throughout the year. So below I’ve written about a few things that I feel are important to give to others . These gifts are all priceless in their own way and can’t be bought but can be shared to help others to feel better about themselves . The gifts can be given to anyone – friends , family , those we care for , those we meet . Giving someone your time might mean helping them in a way you see as small when actually this will make a huge difference to that person . Sending a private message on Twitter, a text , a chat on the phone, a card or a letter – it might not necessarily mean actually seeing each other face to face – but whatever you do shows the other person you care enough to contact them and let them know they are in your thoughts . I’ve just written an article about the concept of time in relation to midwifery for the January 2016 issue of The Practising Midwife ‘Viewpoint’. As humans it’s important to share your time in order to be an part of the way the world works – humans are made to socialise and to care for one another . Showing a woman or family that you are caring for that you have time to talk can be displayed in various ways . As a social or health care worker sitting down at the same level as the person you are communicating with can show equality, empathy and is also a visible sign of listening . An open body language can also improve communication and break down barriers – looking at the person you are talking with means you are committed and have patience to wait for their responses – sitting with someone means connection and it symbolises ‘we are the same ‘ ‘I am here for you’. So many times those in need require to know that we are committed to hearing what they need to say . I know a retired cardiac surgeon who always greets people with “Namaste” and he exudes warmth and kindness – it is a beautiful greeting but when he says it the meaning is real and tangible. He retired many years ago but still gives his time to the hospital to help raise funds and make a difference for others . Giving your time to someone else is a wonderful thing to do and it means you value that person well as a fellow human – it will also make them feel good about themself and you might be surprised to find it helps you just as much as them. What exactly is kindness ? It’s an understanding and openness that is a way of showing warmth towards someone – it’s asking someone if they are ok , giving a smile or a touch on the shoulder to let them know you care . I blogged about this HERE – on the importance of showing one’s heart . In the book Roar Behind the Silence edited by Sheena Byrom and Soo Downe and published by Pinter and Martin there are numerous references to compassion and kindness . Several chapters in the book are structured to help those in healthcare and especially the NHS to investigate the practice in their own place of work. We need to challenge the assumptions of others by putting kindness and compassion at the heart of care . There are many examples and ideas to try and put these virtues into place in the clinical setting and I urge you to read this book and share it with your colleagues, leaders and managers. To receive a hug from a fellow human is a display of care and also of friendship . I’ve received virtual hugs on social media and sent them to others and I do use a hug as a form of greeting to people I know . The other week I met someone in an emotional state and I said “do you need a hug ?” They replied yes & I felt the emotions spilling out of that person – we then talked and the hug helped her . I’m not saying hug everyone you meet but assess the situation and be humankind . Kindness helps us to thrive . When someone wants to talk it’s good to listen and to avoid saying “you need to do this – you need to do that “. Words as a gift should be carefully chosen as most people remember not just the words but the way they are delivered . Think about the way you speak and the language you use does it depict a caring personality ? As a person who like to send letters and cards I try to give positivity through my words I thank my friends for supporting me and I consider how I speak and communicate when I am working. Try reading an email you are about to send to someone as if you are the recipient – how do you feel reading it now ? Would you change anything ? Does your email embody the values of the NHS trust that you are employed in ? Is it true to your beliefs and moral beliefs? It’s a good thought to hold in your mind every day that there are people out there who care and that good things are going to happen . If you are feeling low in the New Year tell a friend – contact a support group , go and see your GP – there are organisations, groups and individuals out there specifically trained to help . I wish you all a peaceful 2016 – thank you for reading and I’d like to thank all my wonderful real friends I’ve met through Twitter , life and midwifery for all their kindness and positivity towards me in 2015 . Dashing here to where ? When she returned I said “did you go into automatic pilot ?” She agreed that she had so here’s what we discussed . 1.When someone asks you for help ask why -is it an emergency? 7. If it’s an emergency it’s ok to go into autopilot but realise that you are a valuable so your focus and calm will lead others to be the same . The midwife agreed with me and I said don’t promise me – promise yourself to think first then walk – dash only in an emergency situation and running ? Should we be running ? Consider your own safety first . Do you dash here & there not stopping to think ? Consider your mind and body – slow down a little – be calm – take your time . There are plenty of opportunities to speed up in emergency situations . Don’t put yourself under unnecessary stress if you don’t need to – there is an implication on your health . Try this for one day then one week and see how you feel – share your feelings with others , spread the word.